THIS IS FOR THE TEST ONLY. You can order the ebook from Cedar Fort (see link.) This course will explore ways partners get caught in patterns of subtle and blatant deception. It will use fun stories from real couples and examples from research to examine how cognitive and emotional processes cause blindness and rationalization, and distort couples’ perceptions. This course will identify research-based strategies to increase trust and connection, and professionals can use this information to identify and appropriately address issues related to self-deception and honesty in the individuals with whom they work. Identify the types of dishonesty and deception and the ways people get caught in them. Describe the ways people deceive in what they say (including white lies, excuses and blame) and what they see (including defensiveness, anger and bias). Discuss research on cognitive and emotional processes that play roles in deception, as well as authenticity. 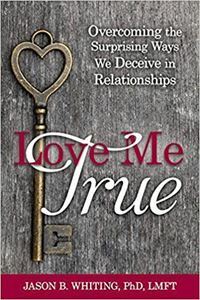 Identify strategies for helping couples build trust and awareness. Instructor J. B. Whiting, Ph.D., L.M.F.T.